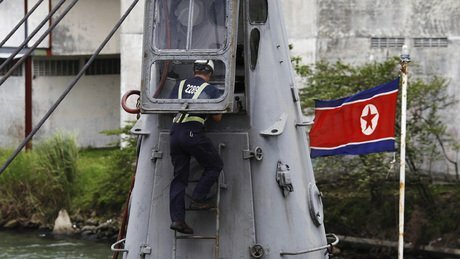 Panama has charged the crew of the seized North Korean ship after it was found to be carrying Cuban weapons. Prosecutor Javier Caraballo accused the 35 crew members of endangering public security by illegally transporting war material. The charges came just hours after North Korea urged Panama to release the ship and its crew without delay. Police found the weapons under bags of sugar. Cuba has said it had sent the weapons for repairs to North Korea. Panama has asked the UN to investigate whether there has been a breach of sanctions against North Korea. The UN sanctions prohibit the supply of arms to Pyongyang in the dispute over its controversial nuclear programme.